Listen. 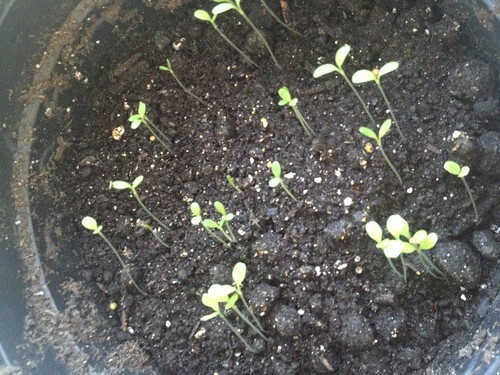 I planted a lot of seeds. I always do. And when they first start sprouting, they all look the same. 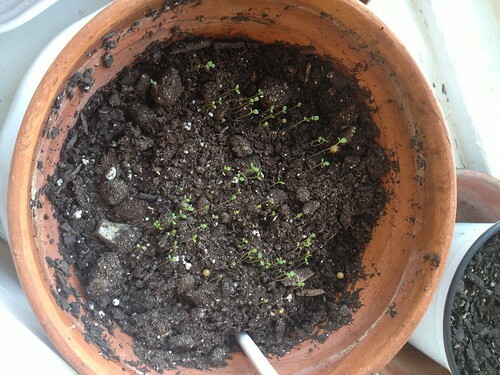 So I don't have much news to report other than: more things have sprouted! You'll just have to take my word on what all these are. Hey, little green things! This is romaine lettuce. Mmm mm. Look at these green things! These are lettuces too, only bibb this time. I planted these a few weeks after my first seeds so that's why they're all so small. 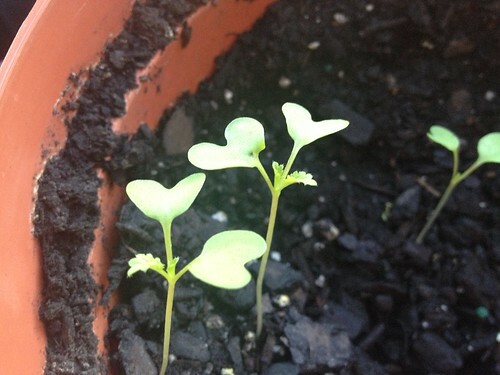 But below are my mustard greens, which are actually starting to look like mustard greens: Cute. 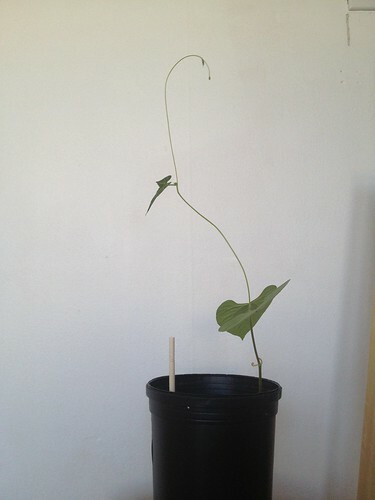 And now, the bean that's grown like a foot since last week. Just a couple more weeks, bean, and you'll get to go outside! Crazy one, that bean.